Do you own a car or an SUV? How much do you spend monthly on gas? 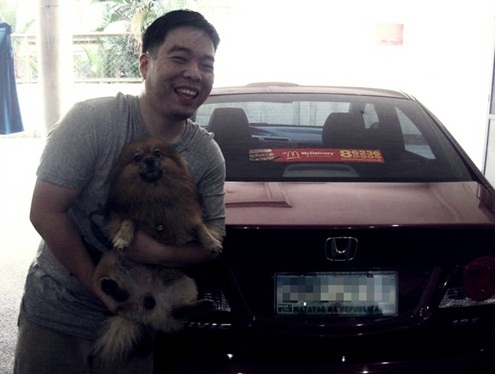 An average motorist roughly spends Php2,000 to Php3,000 a month on gas. And while prices continue to climb every week, earning Php1,000 worth of gas monthly in exchange for carrying the sticker of an advertiser is not that bad at all. I just learned about this MyFreeGas, a local company led by a financial planner, Doby Atilano, that offers an alternative way for corporations to advertise its products. MyFreeGas aims to encourage Philippine Companies to use a small part of their marketing budget to give something back to their consumers. So by just advertising a brand on your car, you’ll get a free gas back as a token. Here’s how to get started, first you need to register on MyFreeGas website. Just put in your name, provide your unique password, car make, color, daily route, average monthly mileage and gasoline expense. You will be asked such details so they can collate and save your details into a database that will be used to match the target profile chosen by an advertiser. You will then receive an email, on your registered email account, citing your registration. 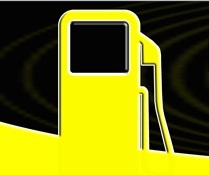 MyFreeGas will just be contacting you as soon as an advertiser has chosen your profile. 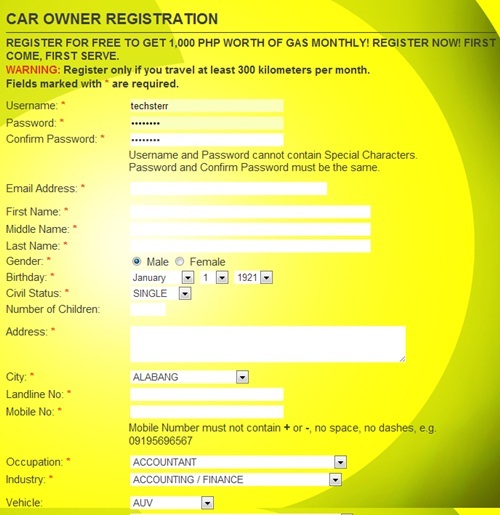 One car owner can register up to five of their cars. Here is one example of a McDonald’s ad installed on a Honda Civic. The sticker that will be used measures 20×3.5 inches and should be installed on either the rear bumper or windshield of a car. I was a bit worried about the quality of the sticker as it might damage our car’s paint but MyFreeGas assured that their sticker is made with a special adhesive that will not affect the finish of the car once it was removed. For car owners that are interested, you must travel a minimum of 300 kms. per month to be qualified for the program which I think isn’t hard to attain as an average family with one car, with working parents and kids going to school and to the office can easily accumulate 300 kms in less than a month. We have been seeing this concept ever since. Just think of those F1 or racing cars with lots of logos of advertisers displayed on its body. MyFreeGas can be an alternative to traditional billboard advertising and is extremely helpful for those small businesses that would like to get more public exposure. At the same time, MyFreeGas is also helpful for motorists that suffer weekly gas price-hikes as they can get somehow rebated for the gas they consume in a month by just advertising a brand. 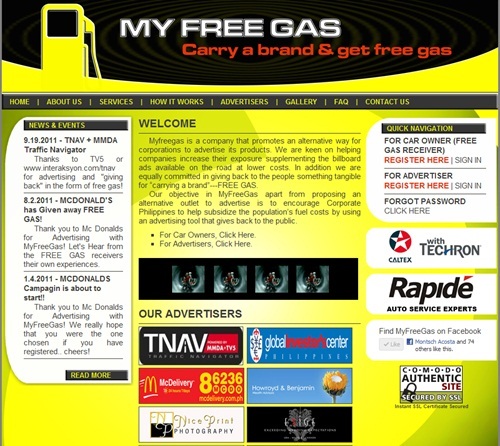 Additionally, you can ‘Like’ MyFreeGas Facebook page here and be updated with their current available ads. Hmmmmm…. I’ll keep the link in case I’ll own a car soon haha!